Native to North Lanarkshire, near Glasgow, she is considered to have a neutral Scottish accent. Previous voice credits include Spotify and radio commercials, with the most recent being a North Lanarkshire Council advert for Capital FM. She has a lovely, youthful energy to her voice that is perfect for advertisements or promotional video. She also has a natural knack for accents and loves taking on the challenge of a new/different dialect. 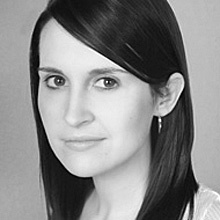 She graduated from Motherwell College in 2011 with a BA (Hons) degree in Acting. Food for Life Scotland from D8 on Vimeo.